At this point, it's pretty old news of which character Donald Glover ended up playing in the new Spider-Man: Homecoming movie. 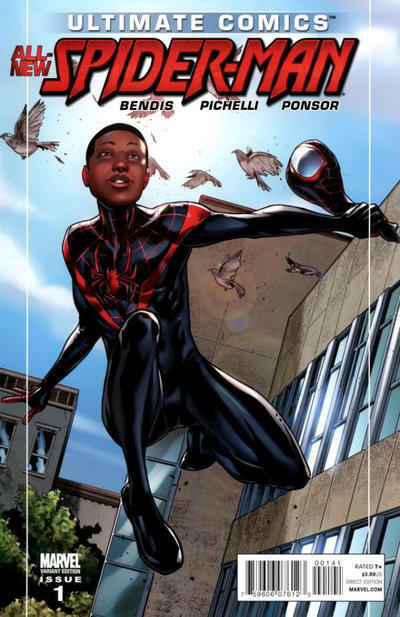 There were rumors abound that he was going to play non other than Miles Morales, but it ended up being a character directly related to the young Spidey replacement. The role that Glover ended up playing is that of Aaron Davis, also known as the Prowler. This isn't the first incarnation of the Prowler in comics. 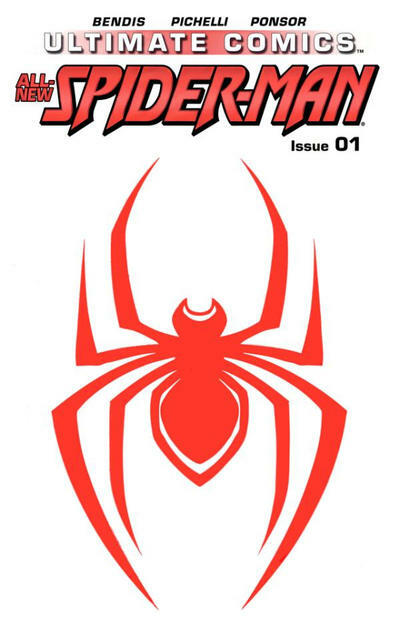 He makes his first appearance in Amazing Spider-Man #78. That version of the Prowler is named Hobie Brown and resided in the main Marvel Universe, or Earth-616. This version of the Prowler is in the Ultimate Universe, or Earth 1610. 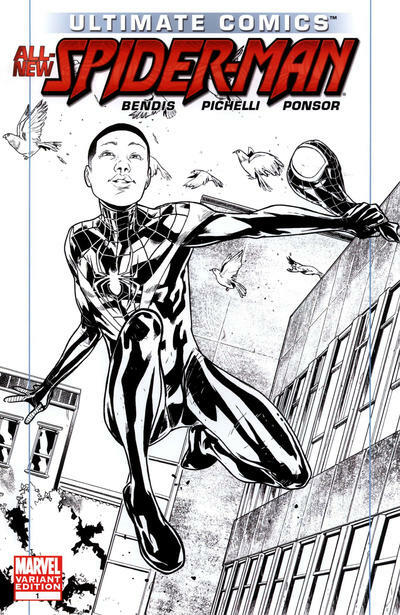 When I say that Aaron Davis is directly related to Miles Morales, and I mean that quite literally. He is Miles' uncle. 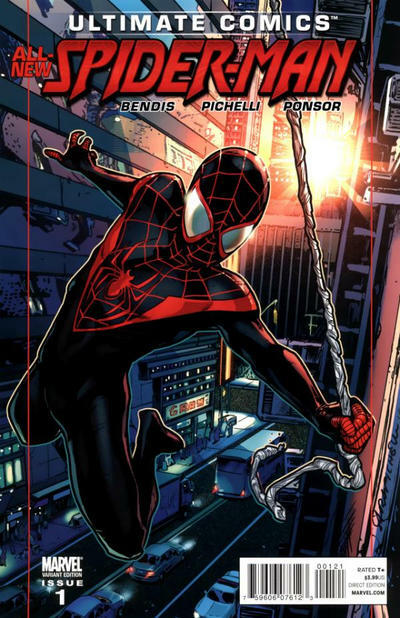 He is also directly responsible for Miles becoming the new Spider-Man. Let me explain how, the nutshell version of course. I should start out by saying that the Prowler is a master thief. 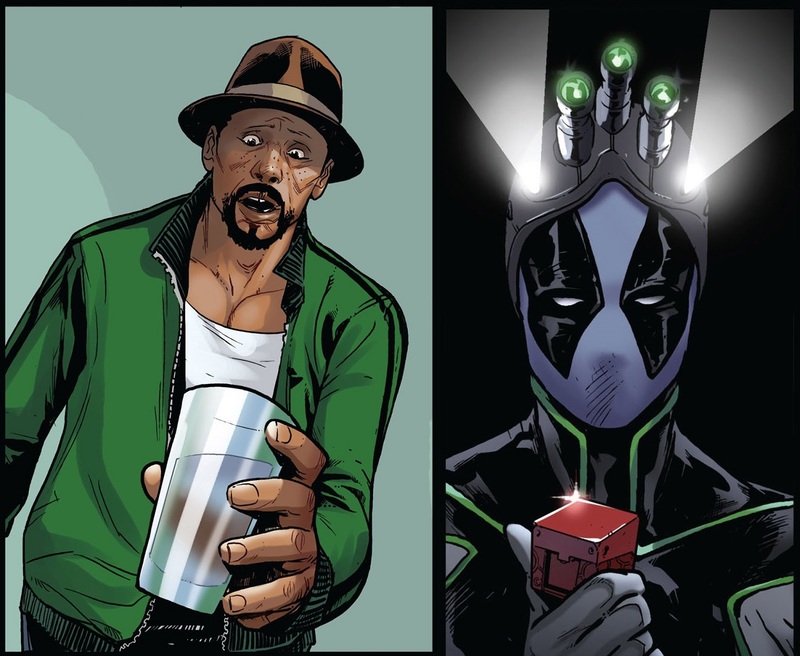 As he was doing a heist at Norman Osborn's research facility, a genetically altered spider crawled into his backpack full of loot and goodies. As Miles was visiting his uncle one day, he is bit by said spider and gains super human, spider like abilities, which made it possible for him to take up the mantle for Peter Parker after he dies from wounds he got while fighting Norman Osborn and his Six. Also making their first appearance in this issue is Jefferson Davis. No, not the one that was President of the Confederate States of America during the American Civil war. This Jefferson Davis, along with Rio Morales, are Miles Morales' parents. Jefferson is also Aaron Davis' brother. They have a very distant because good ol' Jeff doesn't agree with his brothers life of crime. Miles was forbidden to see his uncle, but goes behind his fathers back to see him anyway. If Marvel decides to add Miles Morales to it's cinematic universe, you can bet you will see these two make an appearance. And finally, making their first appearance is Dr. Conrad Markus. You may be wondering why I spelled his name that way. All of the websites spell his name Marcus. But, in this issue, his last name is spelled with a K, so that's the version I'm going with. Anyway, Dr. Conrad Markus is a biochemist and was in charge of the program that created the genetically altered spider that crawled into the Prowlers bag and eventually bit Miles Morales. In a later issue, he would become host to the Venom Symbiote and would be responsible for the death of Rio Morales, but that's another story for another time my friends. Well there you have it, all of the items I could find that gives this comic key issue status. Let's move on to the variants section of this post. Since this is a modern book, I'm sure there will be a few. Some of these variants are retailer incentive covers, but I'm not sure how rare these are. The first cover on the list isn't actually a cover at all, but the polybag that the regular, first print came in. The sketch variant is by far the most difficult to come by and if you're looking for a copy, it will most definitely cost you quite a bit of moolah to get it. The CGC census for this comic is a lot lower than I expected it to be. 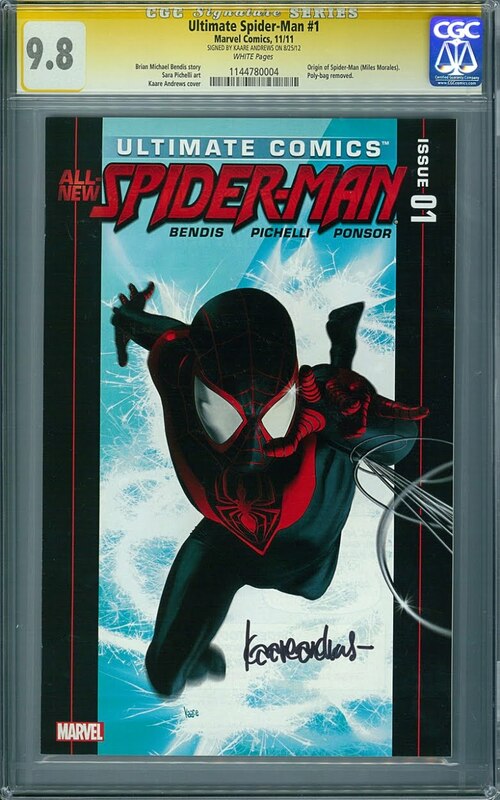 Even though there was a print run of 87,237, only 366 have been graded. I don't know if the 87 thousand includes all of the variants, but the 366 does. Of those, 180 are the regular, first print, non variant cover. And, as I'm sure you guessed, because this is a fairly modern comic, most of these copies are graded either 9.6 NM+ (40) or 9.8 NM/M (94). Sales for this comic are a little wonky. There have been sales for 9.8 NM/M copies that have gone for over the $200 mark, and one that damn near hit the $300 mark, but those were both Buy it Now sales on eBay. If you can find a copy at auction, you'll only end up spending $50, maybe less. The last copy that sold at auction on eBay went for only $41. 9.6 NM+ copies had a similar spike, but sales are generally dropping at the $30 range. I'm not sure why these spikes are happening. They all happened before there was any kind of confirmation of the character appearing in the Spider-Man flick. Perhaps they were speculators that had a heads up on everyone else, or maybe they just wanted a copy in their collections, no matter what the cost. Who knows. Anyway, I couldn't find any sales data for the Pichelli Sketch Cover. The only thing I could find was a copy for sale over at Midtown Comics website. That bad boy is listed at $1,445.43. Buying that sucker will definitely make you wallet a lot lighter. If you want to but it, or simply check it out, click this link here. 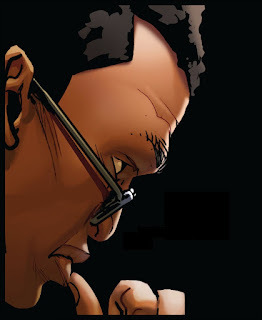 The introduction of Aaron Davis in the MCU definitely opens up the door for Miles Morales to show up in a movie in the future. If that happens, or how long it is before it does, remains to be seen. But if it is someday confirmed that Morales will be making his way to the big screen, you can be that this comic, and especially Ultimate Fallout #4, the first appearance of Mile Morales, will see a huge boost in demand. UF #4 is already up there in terms of value, but you can still snag this one for a bargain.